The Historical Society of Haddonfield has received a $50,000 grant from the William G. Rohrer Charitable Foundation that will allow it to reserve space in its planned new building for Haddon Township Historical Society archival collections. 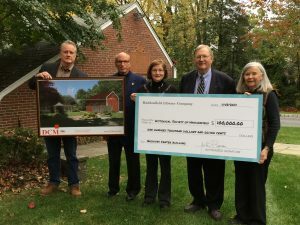 With this gift, the Historical Society of Haddonfield has raised more than $690,000 for a new archival center to be built on its property on Kings Highway East in Haddonfield. The Society is now more than three-quarters of the way toward its fundraising goal of $900,000, and expects to break ground later this year. A separate restricted endowment already in place allows the Society to employ a professional archivist and covers other expenses of the archives center as well. 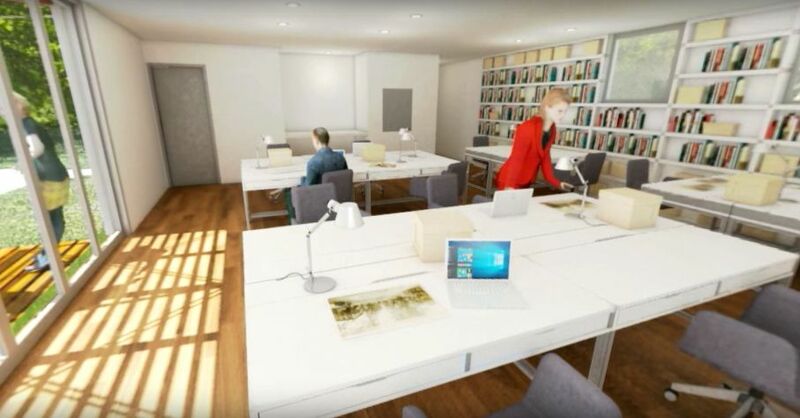 Renderings of the planned interior of the new Archives Center, with the first floor reading room (top) and moveable storage on the second floor (bottom). 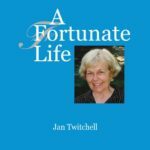 The Historical Society is co-hosting a book launch for Jan Twitchell’s new book, A Fortunate Life. 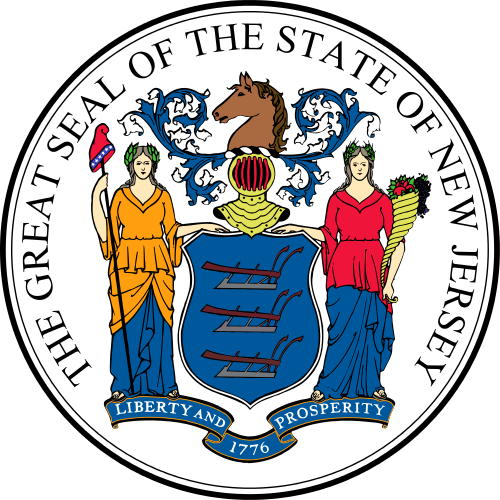 The event will be held on Thursday Dec. 7 at 3 pm at Brandywine Living, 132 Warwick Rd, Haddonfield. Jan began the book as an oral history for the Historical Society, before it turned into a more significant autobiography. She has been a very involved resident of Haddonfield for more than 70 years. Among other things, she served as co-chair of the Dinosaur Sculpture committee and president of Interfaith Caregivers, and was named Citizen of the Year in 2002. The book is available for $20 at the Historical Society, at Inkwood Books, and online here. Copies will also be available at the book launch. 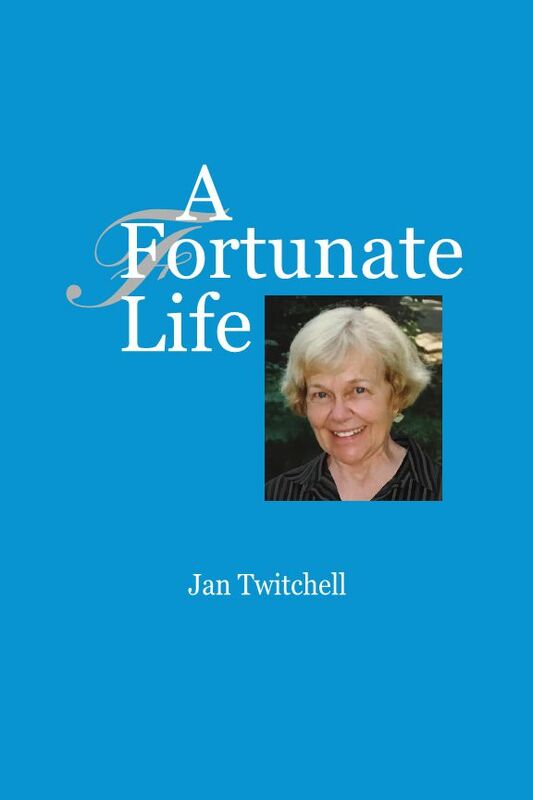 Proceeds from sales of A Fortunate Life are being generously donated by the Twitchell family to the Historical Society’s planned new Archives Center. 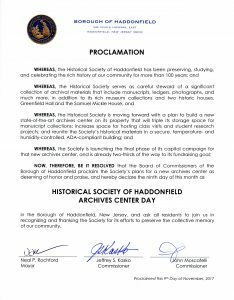 The Borough of Haddonfield issued a proclamation last week declaring November 9, 2017 as “Historical Society of Haddonfield Archives Center Day” in support of the Society’s capital campaign for a new archives building. Borough Clerk Deanna Bennett presented the proclamation on Thursday at our press conference announcing a major gift from the Haddonfield Library Company. 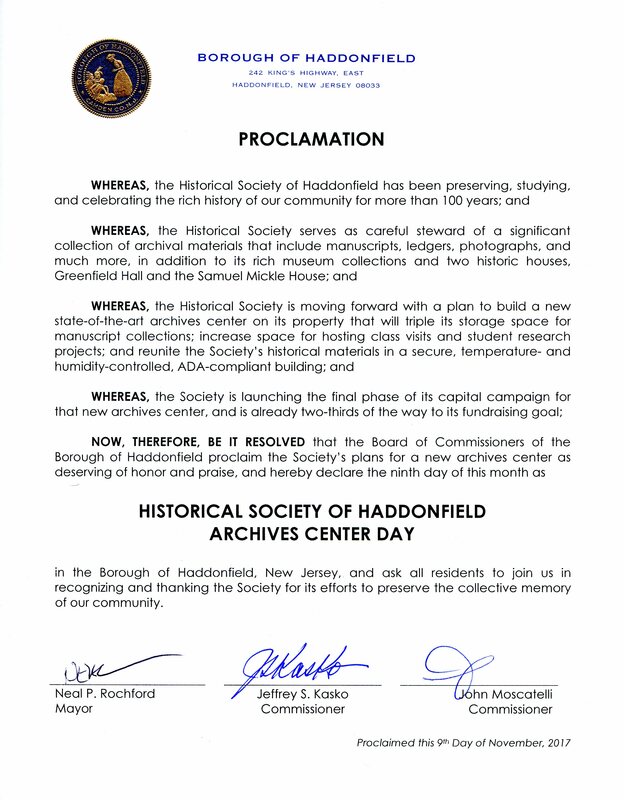 You can read the full proclamation from the Borough below, and read more about the Haddonfield Library Company’s gift here. 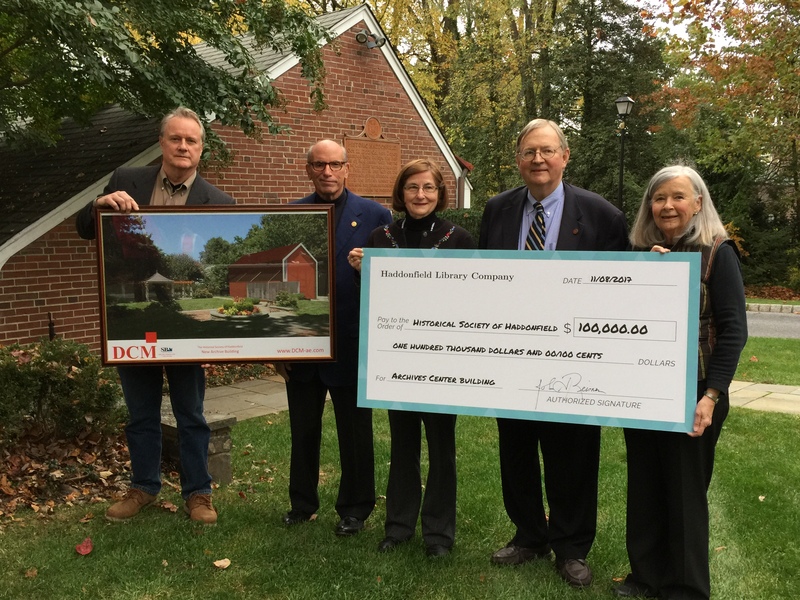 The Historical Society of Haddonfield launched the final phase of its capital campaign for a new archives building with an announcement that the 214-year-old private Haddonfield Library Company has given $100,000 for the new building. To date, the Historical Society has raised more than $605,400 toward the new building, leaving it more than two-thirds of the way toward its fundraising goal of $900,000. The Society already has a significant restricted endowment that allows the Society to employ a professional archivist and covers other expenses of the archives center as well. The Historical Society of Haddonfield has been awarded two grants totaling $31,400 to plan and undertake a capital campaign for its new Archives Center, which was recently approved by Haddonfield’s Zoning Board of Adjustment to be built on the site of an existing garage on the Society’s property. The New Jersey Cultural Trust awarded the Society $26,400 through its Institutional and Financial Stabilization grant program, which rotates annually between funding arts, history, and cultural institutions in the state. The Historical Society is the only recipient in Camden County this year. 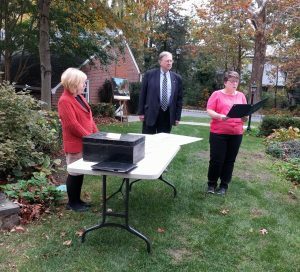 The Haddonfield Foundation awarded an additional $5,000 to the Society’s effort to undertake the capital campaign. 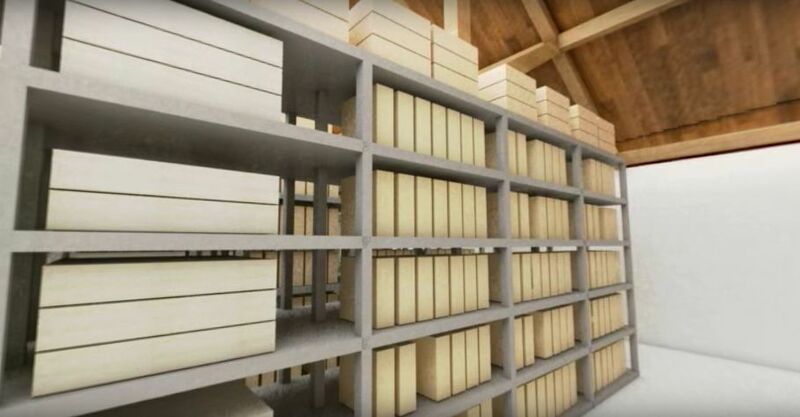 The Society’s proposed Archives Center is expected to cost approximately $850,000. The new two-story building was designed by Haddonfield resident Eduardo Guzman of DCM Architecture and Engineering, and reinterprets an earlier barn that had stood on the site. 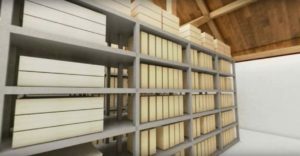 The new Archives Center will provide much-needed space for the Society’s archival holdings, which include correspondence, photographs, diaries, scrapbooks, maps, pamphlets, ephemera, books, and more.